Do you have an upholstery cleaning due? Do not overlook. Hire the best upholstery cleaners in Melbourne – VIP Cleaning Services Melbourne. Is your sofa, bed, mattress giving a shabby look? Does the rolling chair of your house have pet hairs? Is your house furniture giving an unpleasant odour? Well, it’s the time to hire professional upholstery cleaners in Melbourne. VIP Cleaning Services Melbourne specializes in upholstery cleaning. Further, we also provide mattress cleaning and couch cleaning and many other such services. Call us today to get more details. Your cleaning is different from a professional upholstery cleaning Melbourne. Sometimes the simple DIY methods and the cleaning agents tend to spoil the look of your upholstery. The upholstery cleaners of VIP Cleaning Services Melbourne have a wide experience in cleaning a wide range of upholstery. Additionally, our upholstery cleaners follow a well-trusted cleaning procedure. Further, we help in evacuating the lingering dust, dirt, and grime from the fibers of the upholstery. Leather couches look lovely! But they need proper attention and care to keep looking the same way. And regular cleaning can keep your leather couch in good condition. But it is important to you call professional for the best and deep cleaning of your leather couches at regular intervals. Also, if you use the wrong cleaning solutions it can cause irreversible damage to your couch. Hence, whenever you feel the need for a thorough cleaning of your leather couch, consider calling the experts from VIP Cleaning Services Melbourne. Fabric couches look great in every premise, whether it is the residential or commercial place. It adds an elegance to every space. But the fact is, the upholstery gets dirty and stained when used regularly. 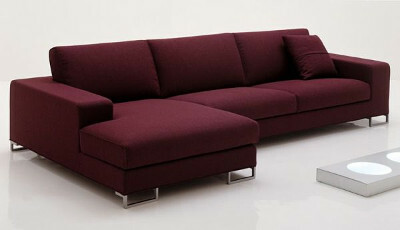 Moreover, if the couches are made up of natural fabric it becomes more difficult to clean. Regular home cleaning methods, may not always be the right solution for your filthy couches, and trying to clean to your fabric couches on your can further deteriorate their situation. Whereas, the professional upholstery cleaning team of VIP Cleaning Services in Melbourne can clean your fabric as well as leather couches, with the help of best cleaning solutions and tools. The team of our professional upholstery cleaners are capable of cleaning all types of couches, sofas and lounges. Whether the lounge you own are made up of fabric, leather or suede, we can clean, sanitise and restore it. With our specialised techniques and advanced skills, our cleaners completely transform your couches to new. Moreover, the lounge cleaning prices we charge at VIP are highly affordable. We are also available on weekends and public holidays for lounge and upholstery cleaning Melbourne. Your upholstery can be renewed only if you get them cleaned by the professional cleaners. VIP Cleaning Services Melbourne is one of the oldest upholstery cleaning company. Further, we take care of all the steps of cleaning during the cleaning process.